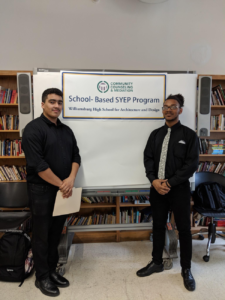 Seniors Nicholas Ortega and Kenneth Nelson Jr. come correct for the SYEP Job Fair as life after high school is here. Sophomore Matthew Darnowski knows the importance of a good handshake and eye contact when meeting prospective employers. For high school students, and many people in general, it is often difficult to think beyond the day at hand. With so many responsibilities, demands on time, and efforts to simply enjoy one’s life, it is easy to get caught up in the here and now and not consider what life could be in the coming weeks, months, and years. However, the future is out there, and, in order to prepare for its challenges, one must plan and prepare. 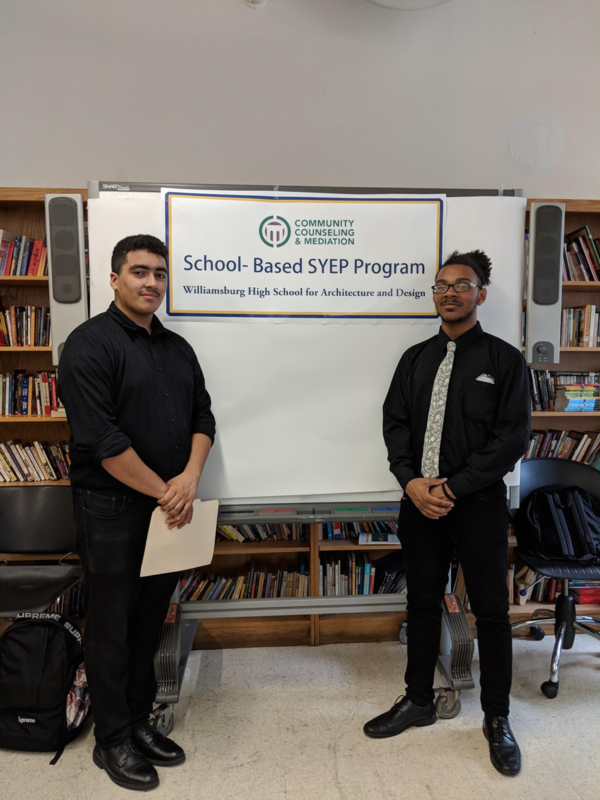 Such preparation is something that many WHSAD students having been taking advantage of through the SYEP program. Students receive hands-on learning opportunities so that they can more seamlessly adjust to life after high school. Additionally, hired students fulfill their pressing immediate needs by making a nice paycheck. 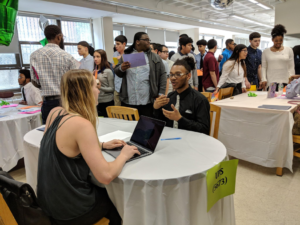 Below, student correspondent Jeremy Ceballos provides his insights along with prospective student employee’s thoughts regarding the June 1st SYEP Job Fair. Students were informed to “dress for success” for the SYEP job fair, and these dapper young men were happy to oblige. This job fair was a great opportunity for everyone involved. 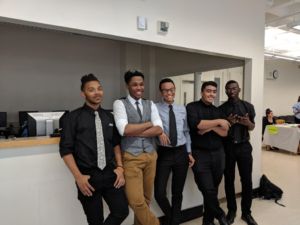 Students were given the chance to pursue a job in a field of interest and explore if that work is something they might want to do in the future. 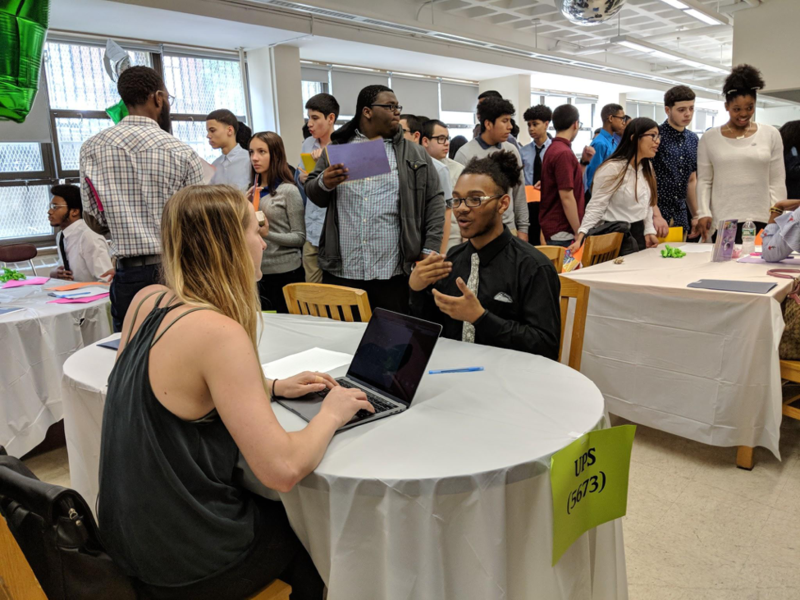 Students also got some networking skills from speaking with all the different people, making good impressions and possibly landing a job now or after high school. 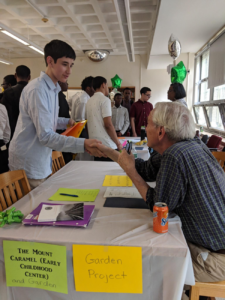 This job fair gave students a sense of what they want to do after high school by providing a head start now. 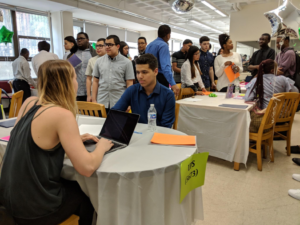 Organizations at the Job Fair were Burlington, Two by Two Childcare, Brooklyn Research, Brooklyn Community Service at P.S. 306, The Mount Carmel (Early Childhood Center), and Garden Project. Kenneth Nelson Jr. applies some interviewing techniques he learned from his participation in SkillsUSA. Sophomore Charlie Gutierrez approaches his interview in a mature and deliberate manner.